Meghan Markle and Prince Harry are expecting their first child in the Spring of 2019 after tying the knot in May at a gorgeous royal wedding. “Their Royal Highnesses have appreciated all of the support they have received from people around the world since their wedding in May and are delighted to be able to share this happy news with the public,” a statement from the royal palace to People magazine reads. 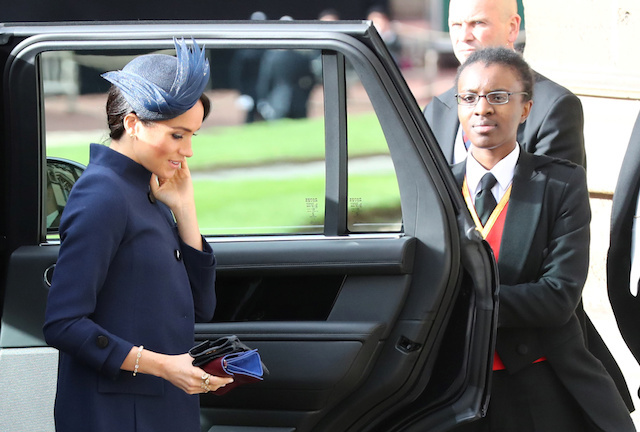 The former “Suits” actress sparked rumors over the weekend that she indeed was pregnant with her first child when she arrived at the wedding for Princess Eugenie and Jack Brooksbank at St George’s Chapel in Windsor Castle, Windsor, Britain, on Friday sporting what looked to be a baby bump underneath her navy blue coat. A source shared with the outlet that Markle is “feeling well” and has had her 12-week scan. The child will be Queen Elizabeth II’s great-grandchild and will be seventh in line to the British throne, behind Prince Charles, Prince William and his three kids, and Prince Harry.